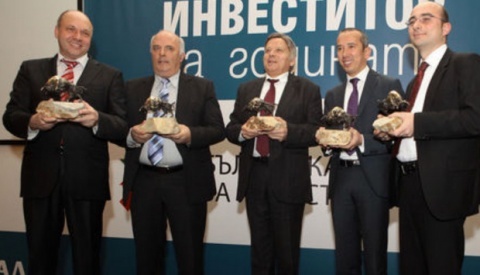 The InvestBulgaria Agency has awarded for a sixth year in a row Bulgaria's top investors for 2011 in five different categories at a special ceremony in Sofia. Hewlett-Packard is Bulgaria's No. 1 investor in the category for creating high-added value jobs. In 2011, HP Bulgaria opened a total of 1 150 jobs as part of the expansion of its HP Global Delivery Center Bulgaria – HP GDC in Sofia, originally announced in 2010. The average monthly salary at HP GDC is over BGN 2 400, and the average insurance income is BGN 1 942 – well above Bulgaria's average figures. Lufthansa Technik has grabbed the prize in the asset investment category for large companies. In 2011, Lufthansa Technik invested a total of BGN 25.5 M in its repair facility in Sofia serving aircraft from all over Europe. The asset investment category for small and medium-sized enterprises has been topped by Finnish investor Amer Sports, one of the largest global producers of sports gear. In 2011, Amer Sports Bulgaria invested BGN 7.7 M in its ski production factory in the mountain town of Chepelare. Asarel Medet Jsc, a copper mining and processing company based in the town of Panagyurishte, won the Investor of the Year award in the "Green Investment" category for investing BGN 140 M in two innovative projects for copper processing. Power utility EVN Bulgaria received the prize in the category for innovations by investing BGN 69.8 M in the new co-generation plant of the Plovdiv-North thermal power plant, inputting technologies that are novel not only for Bulgaria but for the entire Balkan region. "There was a great variety of investment projects in almost all sectors. This comes to demonstrate that even in a hard year such as 2011 firms haven't given up at all on investing in Bulgaria," the CEO of the InvestBulgaria Agency Borislav Stefanov declared at the award ceremony as cited by the Capital weekly. A total of 30 companies took part in the race for Bulgaria's 2011 investment awards; their projects were evaluated by a seven-member jury.